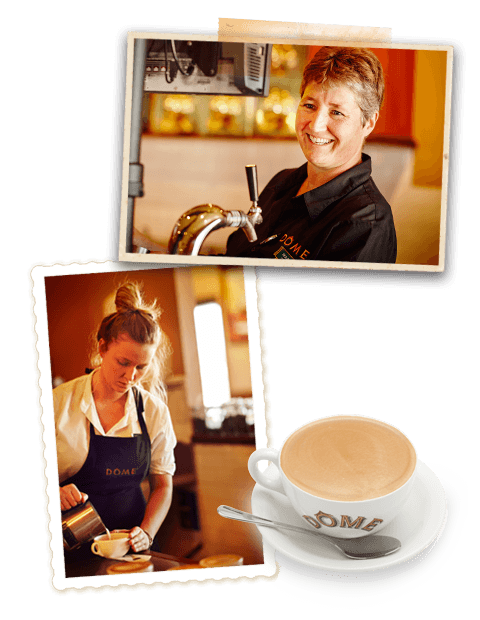 Great people are a key ingredient of Dôme’s success. We strive to create a place of welcome and comfort for all our guests and we can only do this with great people in our cafes. We like to reflect the local community in our teams and so welcome applications from all walks of life. The key attributes we’re looking for are great personalities who appreciate the value of exceptional service and individuals who thrive working as part of a team. With 70 cafes and growing, we have varied opportunities across Australia. From part-time roles whilst you’re studying, to careers in management – there is a role to suit your needs. The opportunities really are endless!